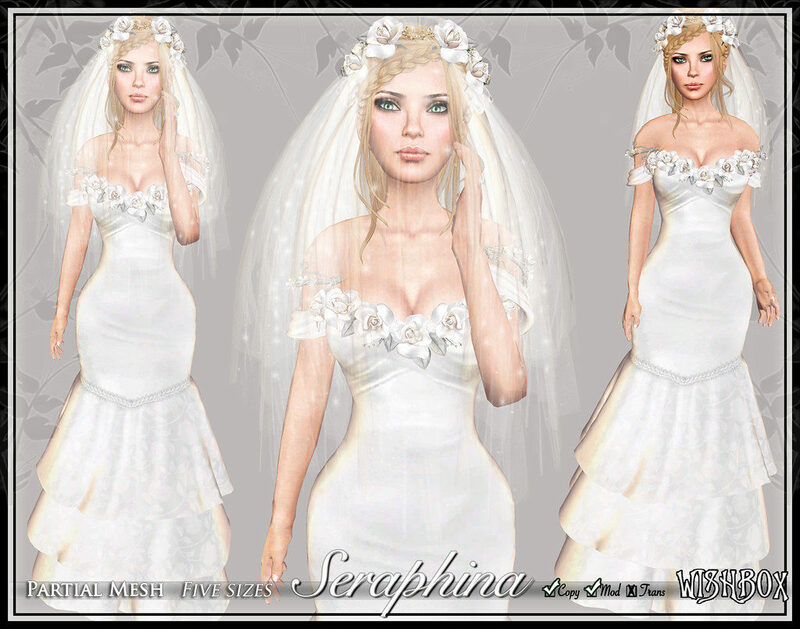 Seraphina is a bridal gown that’s breathtakingly gorgeous. A mermaid silhouette accentuates her beauty, while white roses and vines adorn her bare shoulders. This gown comes with a flexible veil in open-faced and closed versions. ❤ Mesh gown in five sizes. ❤ Bust roses come in five sizes. ❤ Includes two veils, one open, and one that covers the face. ❤ Off-shoulder sleeves with deletable resize scripts. Enjoy! Please see Wishbox’s store for more gorgeous fantasy wear.